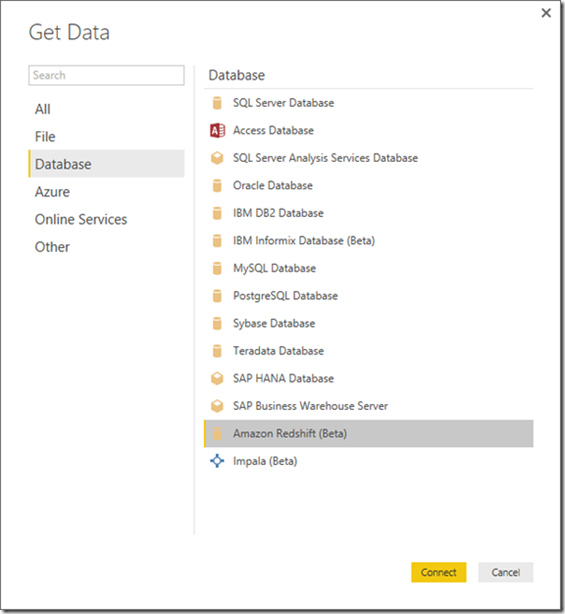 One of the most frequently requested data sources for Power BI over the last year has been Amazon Redshift. 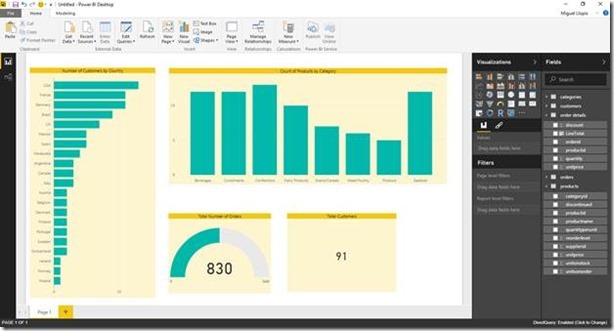 With the Power BI Desktop July update, we’re very happy to announce a Preview of the Amazon Redshift data connector. 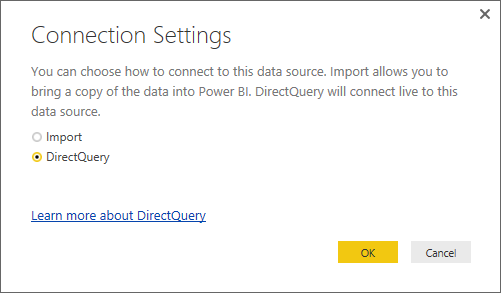 This connector provides connectivity to Amazon Redshift in Power BI Desktop, including both Import and DirectQuery connectivity modes, enabling full flexibility in terms of connectivity options for Report Authoring. In order to try this connector, users have to first enable the Preview feature. This can be done via the Options dialog (File -> Options and Settings -> Options), under the “Preview Features” tab. 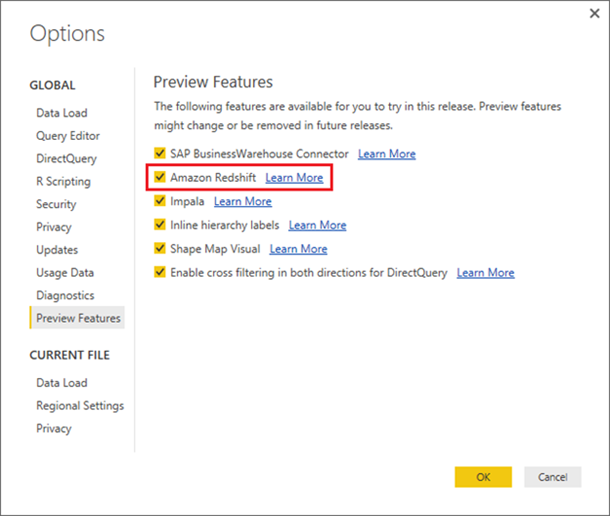 After enabling this Preview feature, the Amazon Redshift connector can be found in the “Get Data” dialog, under the “Database” tab. In order to connect to Amazon Redshift, users have to provide Server and Database information. After specifying a Server and Database to connect to, users will be prompted for credentials. Users need to provide username and password in order to access their Amazon Redshift database. 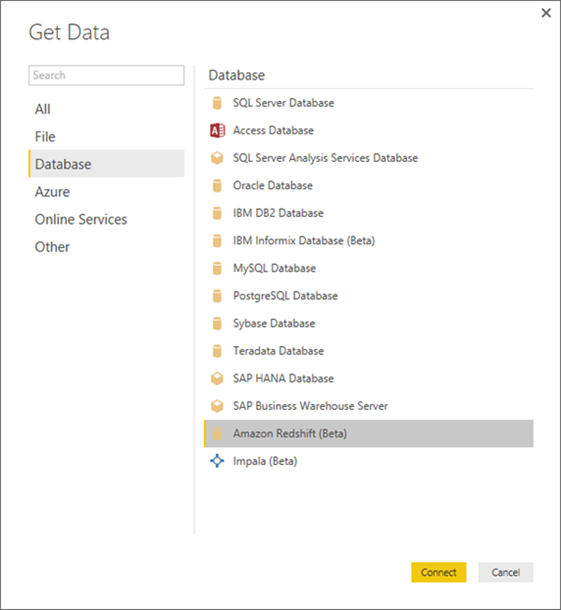 Upon specifying credentials, a connection to Amazon Redshift will be established and users will be presented with the Navigator dialog where they can browse all databases and tables in their database and select one or multiple items. 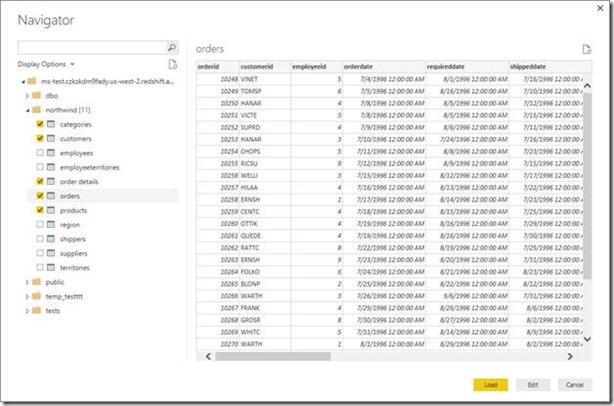 If they select Edit, they will be taken into the Query Editor dialog where they can apply several different data transformations and filters on top of their Amazon Redshift data, before the data is imported locally. Many of these operations will be performed against the underlying Amazon Redshift database, depending on whether such operations are supported by the backend or not. If they select Load, they will be asked whether they would like to use Import or DirectQuery mode. More information regarding the differences between these two connectivity modes can be found in the following article. 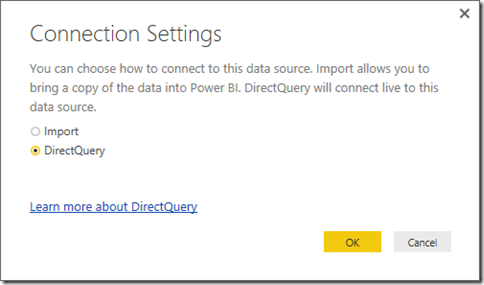 In this case, we will select DirectQuery. 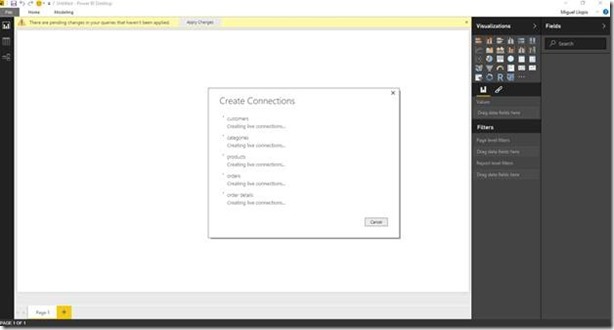 This will trigger the creation of live connections from Power BI Desktop to each of the selected tables from Amazon Redshift. 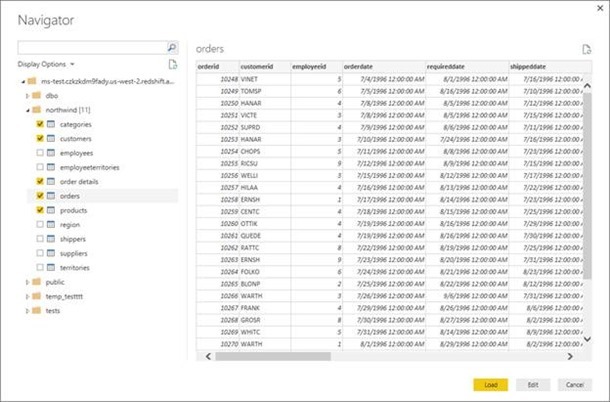 After a few seconds, users will be able to start creating Report visuals, Calculated Columns and Measures within the Report view, which will issue live queries against Amazon Redshift to bring the necessary data into the report. 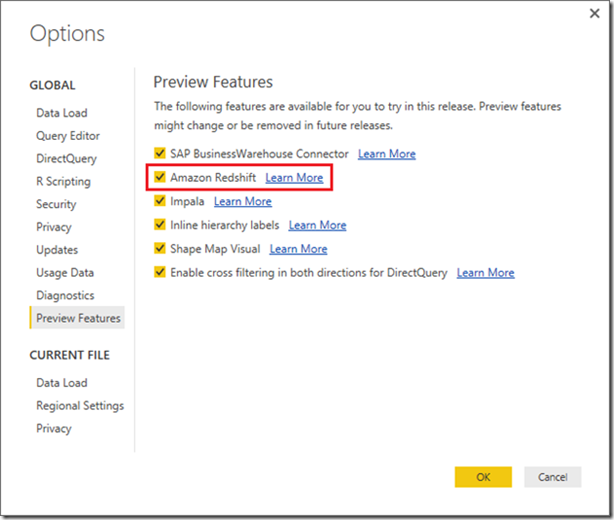 As mentioned previously in this blog post, Amazon Redshift has been a very frequently requested connector for Power BI. We encourage you to give it a try and share with us any feedback or issues that you encounter via the “Send a Frown” feature. We’re looking forward to improving the Amazon Redshift connector and to enabling connectivity to many other data sources. If yours isn’t supported yet, just let us know. Iratkozzon fel, hogy mindig megkapja a Power BI-jal kapcsolatos legfrissebb híreket, egyenesen a postafiókjába! 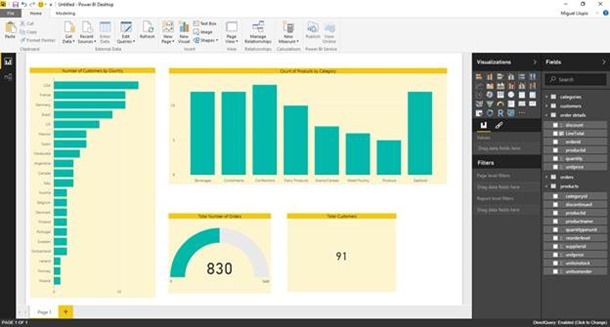 A Power BI az adatok elemzésére és az elemzések megosztására alkalmas üzleti analitikai eszközcsomag. Figyelje a vállalatát és kapjon gyors eredményeket a minden eszközön rendelkezésre álló funkciógazdag irányítópultokkal.